All pledges will be collected automatically until 14/12/2016. 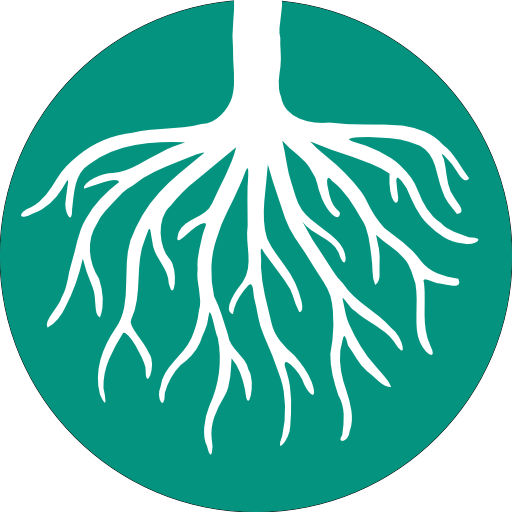 Radical Routes is a network of radical co-ops whose members are committed to working for positive social change. The network is made up mainly of housing co-ops of various sizes (none with more than 17 members), a few workers co-ops and a couple of social centres. Since 2011, when people rose up against Bashar al Assad’s regime in Syria as part of the Arab Spring, there has been a radical democratic experiment taking place in the predominantly Kurdish area in the north of the country (Rojava). This movement has co-operation, autonomy, ecology and feminism as its underlying principles. While ISIS and other reactionary groups have seized control of some regions, the democratic forces of Rojava, despite being outnumbered, have successfully fought against these much better equipped religious extremists. The world took notice when the Kurdish men and women’s militias (YPG and YPJ) broke the siege of Kobane and saved the survivors of genocidal attacks on Yazidi villages who were trapped by ISIS forces on Mount Sinjar. Now the self-governed region is populated by 4.5 million people who manage their society by following the principles of democratic confederalism, inspired by social ecologist Murray Bookchin and the imprisoned head of the Kurdish Workers’ Party (PKK) Abdullah Öcalon. In this struggle against fascists, mortars and bombing have reduced many cities and villages in Rojava to rubble. Reconstruction is difficult because there is an economic blockade imposed by the Turkish state from the north and the war is still ongoing in surrounding regions in Syria. Reconstruction is being undertaken so that society can begin to flourish, already there have been inspiring improvements for women and ethnic minorities in the area. They have taken a direct role in the resistance and rebuilding process. The base economic units of the society are looking to the co-operative model as a way to operate democratically, and sustainably meet their needs. 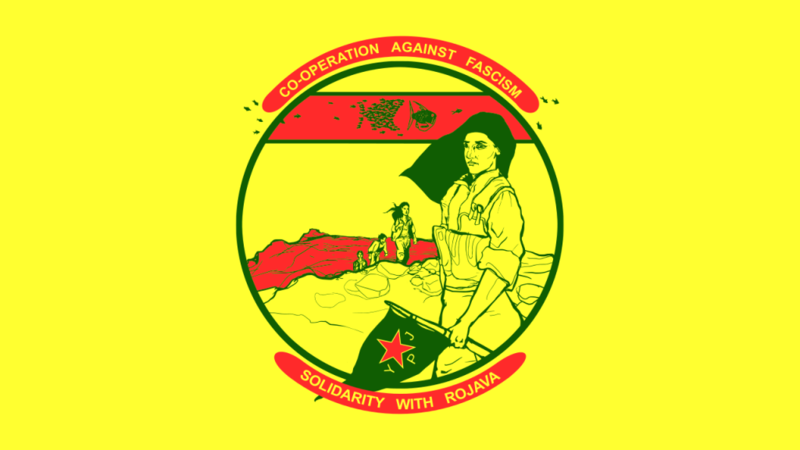 We think it is important that the co-operative movement in the UK stands in solidarity with the people of Rojava when they need it so much, especially as their cause is not being supported by states and international bodies. There is a long tradition of international support from co-operatives to aid the fight against fascism dating back to the ‘Milk for Spain’ campaigns and the formation of the International Brigades who fought alongside Spanish comrades against Franco’s fascist forces. If co-operation means anything it is to stay true to our principles and step in and provide vital mutual aid when it is not forthcoming from outside of the movement. We have spoken to members of the Kurdish diaspora living in the U.K. and been put in contact with Re-Build, an organisation which was founded in 2015 by a group of dedicated and passionate individuals with the vision of helping people rebuild their lives following conflict [http://re-build.help/]. Their mission is to help rebuild and reconstruct affected areas in order to enable people to return to living dignified, safe lives in their homes rather than risk their lives crossing seas to find safety and comfort. With the help of Re-build we have been put in contact with Kongriya Star, the women’s confederation in Rojava who are working with a group of women who would like to start a worker co-operative bakery for women in the city of Kobane. The money will cover fitting out the space with baking equipment and the first months of operation of the co-operative project. Bread is a vital staple food and the women involved in setting up the co-operative want to provide stable living situations where they are empowered to support themselves. The costs will cover an estimated €6,000 for the dough machines, freezers and fridges and kitchen equipment. Rent and salary for the first three months are estimated at around €5,000 and we are adding some leeway as inflation can be unpredictable due to the economic blockade by Turkey and surrounding states. Any extra money raised will go towards other worker co-operative projects in the region – or to similar projects being started by Kurdish refugees in the diaspora. Rojava tries to be an alternative: an alternative to the long-ongoing wars in the middle-east, an alternative to dominance, patriarchy and exploitation. It tries to build up a society based on peace, plurality, equality and radical and direct democracy. Co-operatives are important elements in the construction of an independent economy, which is a necessary condition for a society based on democracy and equality. This worker co-operative will be for women who have been excluded from the economy. In this way they are able to secure their livelihood and work and organise their work together on a communal basis, together with other women. What can co-operatives in the UK do? This fundraiser has been organised by co-operatives who are members of the Radical Routes network [http://radicalroutes.org.uk/]. We are looking for a groundswell of support from all types of co-operatives across the country to reach our target of £15k necessary for the bakery. But support goes beyond raising money for vital infrastructure in Rojava. In our co-ops we have made resources available to host English language classes for Syrians displaced since the 2012 uprisings against Assad and the subsequent invasions by ISIS. We’ve also helped the local Kurdish community host film screenings and information events to raise awareness about their struggle and what we’ve learnt has really strengthened our knowledge of the importance of co-operation. The next step will be for co-operatives in the UK to form links with co-operatives in Rojava and find out directly how we can help – we hope this fundraiser can be but the start of a process of mutual learning and support. 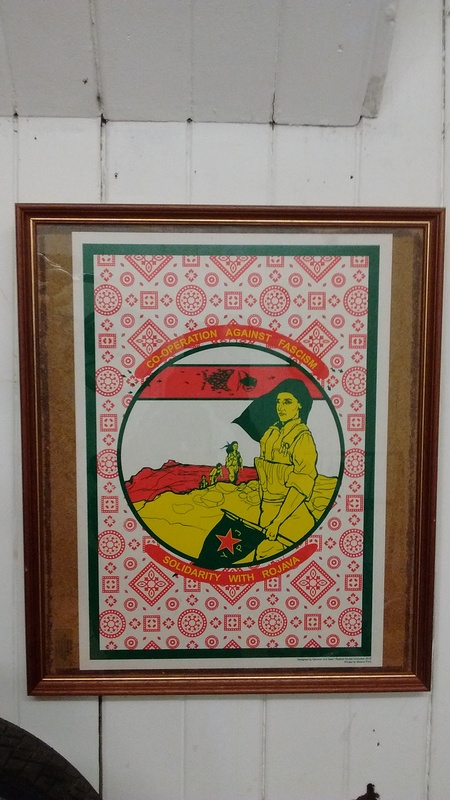 For individual donations of €40 we will include a t-shirt printed by Sabcat workers co-operative and for donations of €20 a Support Rojava mug.